As mentioned in the video, for the second year in a row, I have to give Veritas top honors for delivering what I believe to be the best data protection-centric, main stage keynote among the too-many events that I’ve attended in 2017 so far. That is not a blanket endorsement of the products or strategy, but is a testament to what happens when modern solutions are stitched together in a credible and inclusive narrative that is delivered by strong speakers supported by a great marketing/events team. Veritas is still recreating itself, with new branding and aesthetics, products that integrate more than they ever have before, and new category offerings that have disruptive potential (as well as some revitalized gems that are underappreciated). What will be interesting to watch for in 2018 is how the narrative, product roadmaps, and go-to-market strategies come together for the field and partner communities, so that customers can rediscover “the Truth” in the new Veritas. As always, thanks for watching (and reading), and please let us know how we can help you or what you thought of this blog. Hi, I’m Jason Buffington. I’m the Principal Analyst at ESG covering data protection. 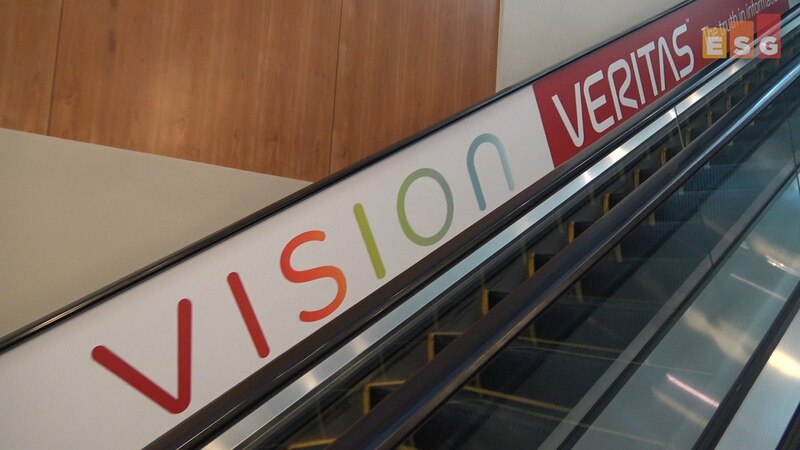 This is my wrap-up on backup from Veritas Vision 2017. So first and foremost, for the second year in a row, I would give Mike Palmer the best single data protection main stage keynote of any vendor of the year. Now, this is not a blanket endorsement of all the technologies from Veritas. This is what happens when you have a plethora of technologies combined with a narrative that helps them make sense with each other, delivered by somebody who really knows how to own main stage. Let’s talk about the narrative for a second. It would be very easy to underestimate or devalue Veritas as your daddy’s or your granddaddy’s Veritas. And yet, when you look at the portfolio, especially that 360 narrative, where every single piece of the story, from backup complements with archive complements with infomap complements with availability, that makes sense because they’re not distracted by Symantec stories anymore. It’s all around data protection, preservation, management, and availability. And that kinda bodes towards what the future has to hold. See, the difference between a data management story and a data protection story is in the data protection story, all you’re doin’ is makin’ copies. And yes, you gotta make copies, and that includes backups and snapshots and replicas. But if you don’t know what you have, you are limited by that. And the only way that you know what you have is if you go beyond backup towards archive and understanding what is the information within the data. If you have that, then you can define policies that are based on business value and not just based on technology. And that’s where the future is headed, and that’s the story that the new Veritas is telling. It’s gonna be really exciting to watch them over the next couple of years. But it starts with a compelling narrative and a leadership team that can carry it forward. And Veritas has that.